Little Bit Funky: let's talk dinner. when something changes my life like this...i feel like i NEED to share it with every woman i know. for me...this change is big, huge, wonderful. it relieves stress, reduces work, saves money, saves time. it makes my husband happy and my kids happy. it makes ME happy. i am NOT being paid to say any of this. i promise. the bane of my existence was meal planning. either i never did it...or when i did i always felt like it took too long, was inefficient...time consuming...a pain. and generally, i felt like i spent WAY more on groceries on the weeks i planned the meals. really i dreaded dinner time. it wasn't easy. or fun. we started it a few weeks ago. and let me just tell you. LIFE. CHANGING. not ONLY is dinner EASY. and tasty. and FUN. but MY KIDS ARE EATING IT! you sign up...they have several meal plan options...i do the meal plan for two (any store)...you print off your menu for the week and your shopping list. the shopping list is organized by department so i spend WAY less times shopping. you can choose a specific store and they will plan the menu around what is on sale. they don't have my grocery store but even still we have saved money. we have eaten MORE fruits and vegetables than EVER. each and every recipe has been EASY. moses has tried more new foods and LIKED them than EVER. my super, duper, wonderful and picky husband has eaten every single dish. we have already found several recipes that are "keepers". even the dishes we don't LOVE are still good. and have way LESS stress about "what's for dinner?". it is $1.25 per week WELL spent. three months of not having to plan dinner. you can choose your plan and store. if you win, just promise me that you will pay it forward...you know...do something unexpected for someone else. 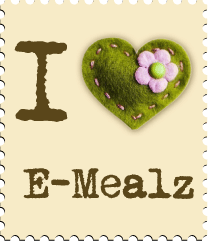 in the mean time...head on over to e-mealz and check it out. This sounds great. Meal planning is seriously lacking in our house. My main problem is I can never think of 5 or 6 recipes that everyone will eat, won't cost an arm and leg and doesn't take much time/preparation each week. Meal planning is seriously lacking in our household. My main problem is coming up with a weeks worth of dinners that everyone will eat, doesn't cost an arm and a leg and doesn't require a ton of preparation. Wow!!! Thanks so much for this giveaway!!! This would make my life so much easier! I'm trying to lose weight and this would be great for me to help me save time and fix healthy meals! I would love to try this out! i was just going to subscribe...i will wait pending the winner announcement! but, let's face it, #1 comment never wins. wah-wah! You can't even imagine how much easier this would make my life. It's always a daily struggle for me to figure out dinner for the seven of us, and when I get off work it's the last thing I want to think of. This sounds great!! I would love to get a subscription too. I always try to meal plan every week but it gets so mundane week after week.This would definitely help. I was just telling my friend today how stressful meal time has become. I'd love to try this! Maybe it's the kick start I need. i have done batch cooking before and it just takes up so much time with planning, prepping and then cooking all day long. it's fun if i can do it with a bunch of gals, but my life doesn't allow me to do that right now, so this would be awesome!! This sounds awesome! I have been meal planning for a few months now, and sometimes I do well...and other times I really stink. I am not that creative, food-wise, so this might spice up our dinners! This sounds so awesome! The LAST thing I want to do after a long day of work is think about what to make for dinner. We often end up eating 'easy options' like hamburger helper or worse because neither of us has the energy to plan out meals ahead of time so we grab what's convenient. I hope I win, but thanks for the link regardless! Doe-tee (baby's nickname) desperately needs veggies and a stress-free mama. I would love this!! I work full time (necessity not choice) and I have such a hard time getting dinner on the table! I have a family of picky eaters though do they take that into account?? I used e-mealz for a few months. Didn't work for me. Many of the meals i didn't find appealing. It is a great idea though and so glad it's working great for you. I'm probably the only minority too! Oh I would LOVE this! I'm currently teaching full time (long term sub position) as well as working 20 hours a week at my church job... needless to say, we're eating out a LOT! Oooooh, that sounds like a fabulous concept! I'm sure we'd benefit from it as we are entering soccer/baseball season and it's hard to get a meal in before practice unless I have them planned out! Thanks for the info Crystal! ps...a few nights ago i had a dream in which aaron and some other kids were playing near a fallen powerline and i had a freakout yelling "GET BACK HERE HOHO!" Ridiculous how blogging sneaks into random parts of our lives. He is just too darn cute. Two things I dislike, mealplanning and grocery shopping. With my family of three kids and husband, this would be FAB!!! Oh wow! This sounds amazing. I was just talking to my husband about how I need to start figuring out how to meal plan and when I go to the store I can just go once a week and incorporate the ingredients with every meal. The problem with that is I don't want to have the same or very similar meals every night of the week because I want to use all the ingredients. I've even started recipe binders and home making binders and this would help SO MUCH. Even if I didn't win, I would still try this out. Thanks for letting us all know! i need this... i work, my husband works, i have 3 boys, 2 of which are 2 year old twins and we have grown to DREAD DINNERTIME. i'm so tired of chicken nuggets, mac n cheese, and hotdogs. Gosh. This would totally change my life. I would LOVE to win. Thanks for the chance! This is something I've thought about trying. Working full time and coming home to get dinner on the table by 7 is no way to live. I rarely have time to shop anymore, or even make a grocery list for that matter. I would love to be the winner! Thank you for the giveaway! I'm going to go check it out now. I HATE meal planning, grocery shopping and making meals. Maybe this will make my life easier? wow! I would love to try this! I am stuck in a rut with meal planning and this would surely help me out. and as for the more veggies and fruit part, that would be great for my family! I would LOVE to try this!! I've checked it out before but just didn't do it. I think mostly because I am gluten free and they didn't have a menu for that then. I believe they do no. I'd really be interested to try it to see if I'd like to keep doing it. Thanks so much for the chance!!! Oh my goodness, I NEED this subscription! Love the whole idea of this site and such a fantastic price, too! I might just have to subscribe even if I don't win! Thanks for sharing this discovery! would love this. We are a family of six trying to save ebvery penny we can for our adoption and groceries is the only thinng in the budget we can cut down on. It is so hard thought when you live paycheck to paycheck and watch every little thing you spned. Thanks so much for doing this! I already meal plan , but this would make my life so much easier! I look at the sale flyers and plan according to what is on sale. It would be great having that already done for me! When I do meal plan, our week runs so much smoother. When I don't, I'm just grabbing anything quick & easy by the time I get home from work. This sounds like a great idea! Thanks for sharing about it!! That sounds fabulous. Just last night, i realized i was losing my meal planning mojo. I used to love it and get all creative with what was left in my cabinet/freezer/etc. Lately, I have been doing quick heat stuff with my schedule. I am going to check it out. My family will be grateful to not have chicken with Trader Joe bbq sauce on it.... again! it would definitely help us not eat the same three things, every three days :) seriously I am in such a rut and it doesn't help that I have to make two meals, one for me and another for the rest of the family. That makes it even harder! I was just agonizing over the weekly grocery list. Again. I've been thinking about subscribing for awhile now so I saw this as a sign and just did. Thanks! I was just agonizing over the weekly grocery shopping. I've been thinking about subscribing for awhile now and saw this as a sign so I just did. Thanks! Gee Nice Lady, what an incredible act of service! I would really appreciate something to make dinners easier. When I was little I never understood why my mother hated cooking, "She hates it? But why? Does she hate being a mother? Does she hate being married? Will our WHOLE family fall apart?" Okay no, now I realize that meal planning isn't just a talent you are magically given when you say, "I do." Thanks for offering this up! This sounds like a great idea and great solution to my hardest part of the day! Thanks for introducing it to everyone. When I leave work, I pick up my 9 month old, and then my 4 year old (both daughters), rush home, let them play while I think of what to make for dinner and then make it. I like to have dinner on the table when my husband comes home (just how I was brought up). So, having a meal planned out, that will satisfy everyone, including my also picky husband, would make the hours of 5-7, which seem like 2 seconds, a lot more enjoyable. Love your blog, by the way.. I found you through Sincerely, B (Mod Memento). This is wierd, because usually I LOVE to plan meals. I have it down to a science. I love looking at the sale ads and smart shopping my way through the grocery store. I'm a coupon machine--and I'm very organized with my recipes, shopping lists, etc. I even make our own sandwich and english muffin bread to save money! Only, since I've started back to work full time, I don't have the room in my schedule to do this anymore. So, I've resorted back to planning my meals in the aisles of random grocery stores. It's frustrating, time consuming, money sucking, and soul killing! My poor husband will help and try to take over some weeks...but bless his heart...he just doesn't know how to do it like I would. Please help! If this would get my picky eaters to try new foods (and like them!) it would be marvelous. I do try to meal plan sometimes, but I dread it because it always seems to be the same boring stuff every time. I'm going to check it out! It seems like I spend MORE money when I plan my meals. So frustrating! This would be amazing! Wow! I've never heard of that before! Thanks for sharing - I'm checking it out for sure! What a great, affordable concept! I think it will certainly be worth a try, even with our strict diet. It's not easy juggling a strict diet when you have a picky toddler. With our economy, times are tough for many people. $1.25 is less than eating out for just a snack. Thank you for having a generous giveaway! This sounds like pure heaven!! Wow! I'm going to check it out! Ah, dinner, the never ending chore. I will be checking this out regardless of the prize. :) Thanks. This sounds great! Meal planning can be stressful, so I'm glad you shared this with us. I'm also thankful you mentioned that picky eaters enjoy it, I have plenty of those around here! Thanks for the give-away, and have a great day! Crystal, I am with you. Seriously. It's the number one thing I hate about being a wife/mom. I feel so inadequate because I can't (don't?) plan healthy meals. I hate cooking. I never know WHAT to make. This is awesome. Thanks. Um, wow...that was weird...I felt like someone was writing a paragraph about exactly how I feel about meals/cooking/planning. I really like that Dave Ramsey endorses this. i meal plan every.single.week. but i would LOVE to try this! always looking for ways to save time and money! I have not had good luck with the meal planning because my son has not liked the meals chosen! It's so frustrating after all that time and effort. When you said your kids loved the meals... I was sold!! Thank you for sharing!! Their site is amazing! They even have a low-fat menu option! What an incredibly great idea! With a 2.5 year old, a 15 month old and being 8 months pregnant... I'll take any and all help I can get! I think it's fair to say "I'm your girl!" I've never heard of this!!! It would be sooo helpful to me!! my hubby works 2 nites a week and on those nites we usually just eat cereal or not great stuff b/c i never know what to do just for me, my 4yr old son and 3 yr old daughter. and of course i want to make homemade meals for my husband too!! i absolutely DREAD making grocery lists and planning meals. i would LOVE this!! thank you!! I am right there with you! I hate meal planning I feel like it's a waste of time and energy. Especially being 8 months pregnant! Crazy! I've heard about e-mealz from Dave Ramsey for a while now, but your glowing recommendation has really convinced me! I'd LOVE to use e-mealz because I have a 14-month-old daughter who is hard to shop with and I'd love to get in and get OUT of the store with the use of a nice list! My husband and I live on a tight budget as I'm a stay-at-home mama and he works at and agency as a children's therapist, so I'm always looking to save money on groceries. Thanks for this giveaway! I am always stressed out about dinner. Sunday through Thursday it is just my kids and I and then Friday and Saturday I have my husband home. My son is a picky eater and so is my husband! I could use all the help I can get! Love this idea. Since staying home the planning has been harder. I feel like a buy a certain something for a recipe and then the rest of the unused portion, like 3/4 head of cabbage goes to waste. That wasn't a deal. I like the idea of it being planned out and exactly what you need to shop for. The store too! OMG that would be awesome. Like you I have to shop with two little boys in tow. Awesome! I'll give it a try and if I win, I'll definitely pay it forward! Looks like something I should try...and I promise to "pay it forward"! I couldn't agree more that meal planning is the worst! I most definitely would love to give this a try!! I would love not worrying about what to cook everyday like you mentioned Crystal. It's only me and my son but its just as hard to plan for 2 as it is to plan for more. Thanks for the info! My daughter is going away to college leaving my son and I to fend for ourselves. This would be an awesome way to make sure we eat right, not just drive thru every night! Wowie! That sounds super-awesome. It would not be as helpful to me as it would to my husband, who is the chef extraordinaire of our house! I'd love to say I'm doing the cooking...but at this point, I'm not sure I remember how, he's really that good! Thanks for the giveaway! ohhhh, this would make my life so much better! I have always said that if I could choose between a maid and a cook, I would totally choose the cook. I would love try this. Saving time and money?? Sounds like a winner to me! I hate meal planning for all of those same reasons you mentioned, so I'm soooooo excited to check this out! Oh my goodness!!! What a neat site! I'd never heard of it before! I think this would definitely change my life! I have a 7 month old, and my husband teaches and coaches track. So, by the VERY end of the day (he gets home late) it's hard to find something good to make. I've been trying to help my husband loose weight for a while now, and I feel like I'm not doing well at that when I cook. I'd love to not have to think about the recipe, but know that I'm giving him good nutrition and yummy food! Great giveaway! This sounds amazing! The most dreaded time of the day is deciding what I'm going to make for dinner that night! i hadn't heard of e-mealz until this week.... now this is the second time. i think i definitely need to check it out. it sounds wonderful! it would make my life easier by not having to take the time to do the planning... pulling out recipes and cookbooks and finding things most everyone will eat. I would love to try this - I've done lots or meal planning in the past, but gave it up like you, as it seemed to take SO MUCH TIME. I hate not having a plan either....so this may be just the ticket. I totally agree! I was so shocked to find that my ultra-picky five year old was eating seconds of most everything I was making! I'm still amazed. And so far, I haven't spent more than about 30 minutes preparing a meal. Love that. I've only done it a few weeks myself but we picked the low-carb option and it's been a hit at my house. Where have they been all my mommy life?! Glad to know I'm not the only one who found them so wonderful. I've been hearing a lot about e-Mealz recently since I've started listening to Dave Ramsey during the week. My husband I have talked about subscribing, but weren't sure what it as all about. We would get so much use out of this, especially since we're trying to save every penny since we closed on our house and then I lost my job...and working our debt snowball! Amazing. I'd love to try it out. 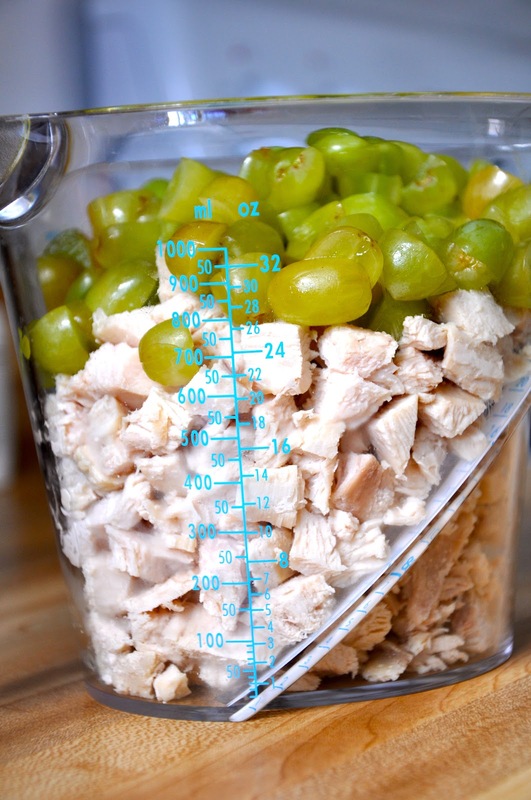 I'm trying to loose weight, and the biggest struggle in our house is what to make that's Healthy! Plus we NEED to get more fruits and veggies in our diets! This would be a great thing! oh this sounds like just what I need! I often spend too much time in the drive-thru b/c I haven't had enough time to plan ahead and end up too stressed, too tired, and out of time. Thanks for sharing. I need all the help I can get. Consider my hat thrown in the ring! Or something like that.